Apple fans everywhere finally got a taste of new products at tuesday’s Apple event. At the end of the day Apple left us with no real surprises, and my Monday iPhone event predictions were spot on. Some Apple fans were hoping for more than just new iPhone. Here’s what Apple didn’t announce at their special event that we may see later this year or sometime in 2014.
iPad rumors of the tablet showing up at the iPhone event showed up briefly, and even more quickly dissapeared, a couple weeks back. Apple hosted a separate iPad event last October, and I think we will see the same thing this year. I expect a new iPad 5 and iPad Mini 2 with retina display to make an appearance at a special iPad event in mid October. The truth is, we already knew that an iWatch was not going to be at this event. With Samsung, Sony, and now Qualcomm releasing their own models alread, Apple will need to move quickly in 2014 to produce a stellar product. 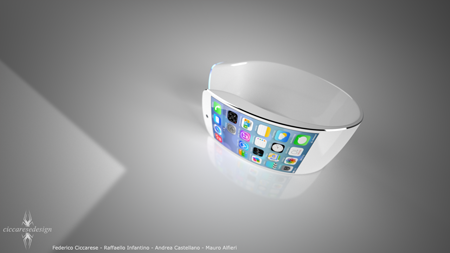 Apple iWatch rumors have been coming steadily over the past year, and analysts predict a $199 price point. Tim Cook and Apple need a new product category to add to the mix, and the iWatch might just be the next big thing. Claims of a new Apple TV arriving at the iPhone announcement seemed like they may be true heading into the event on Tuesday. With a recent document leaks from global trade intelligence firm Panjiva, Apple were claimed to be issued three bills of landing (a key document used in the transport of goods) from the U.S. Department of Homeland Security for containers filled with “set top boxes” with Apple labels. It now looks like the Apple TV update will come via a software update on September 18th when iOS 7 officially launches. 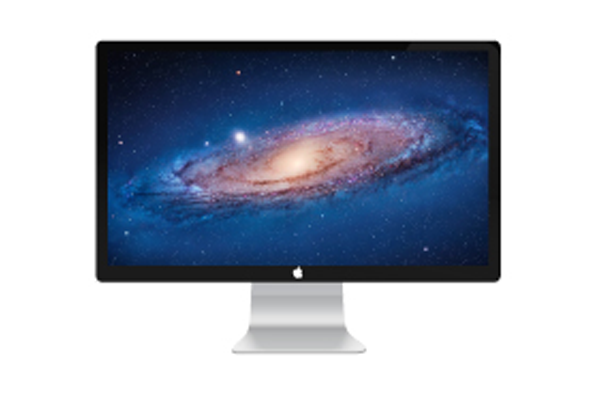 The long awaited Apple Television (actual television set) could still arrive sometime in 2014, so they say. 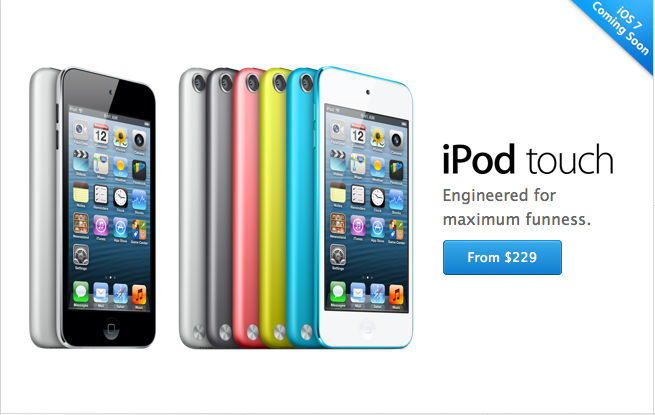 Last years Apple event brought us brand new iPod launched alongside the iPhone 5. 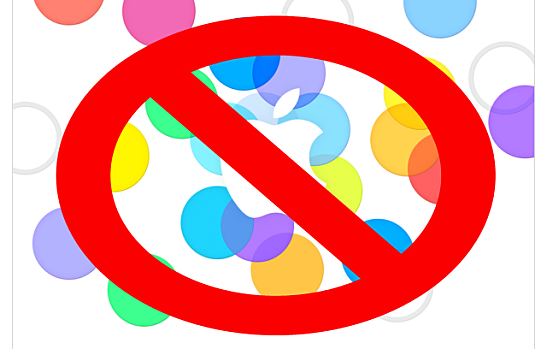 This year Apple gave us no iPod updates at all, except for a new color, which they sneakily stuck in the Apple store with no notice. The “space gray” color option found in the new iPhone 5S will now be offered on the iPod Touch, Nano, and Shuffle starting this week. The fact that Apple has launched a new color without any update to the actual hardware could signify that we may not see new iPods until sometime next year. This Apple event marked the first time Apple launched two iPhones at the same time, or even in the same year. Analyst have been saying for years that Apple needed a low-cost iPhone in order to compete in emerging markets where Android handsets typically dominate. 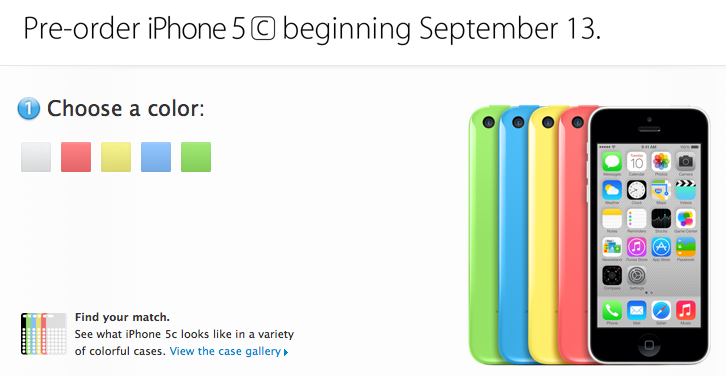 The world knew that we were getting an iPhone 5C thanks to all the iPhone rumors in months past. The new iPhone 5C does sound like a great deal at $99 with a 2 year contract. However, the contract free price is set at a very high $549. If that is not bad enough, the device is said to be selling in China for $733. Considering the iPhone 5C was initially intended to target buyers in China, this new “cheap” iPhone is in no way low-cost.